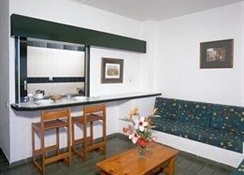 This attractive apartment complex is set 300 metres from the beach in Playa de las Americas. Set in pretty gardens, it features a heated outdoor pool, badminton and basketball courts. Optimist Tenerife apartments feature smart, functional décor and pool views. 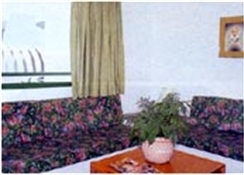 Lounges include satellite TV with DVD player, while modern kitchens have a washing machine, oven and microwave. There are numerous bars, restaurants and shops within 5 minutes’ walk of the apartments, which are 2 km from los Cristianos. 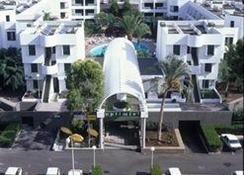 The complex also offers a large sun terrace for you to relax on. 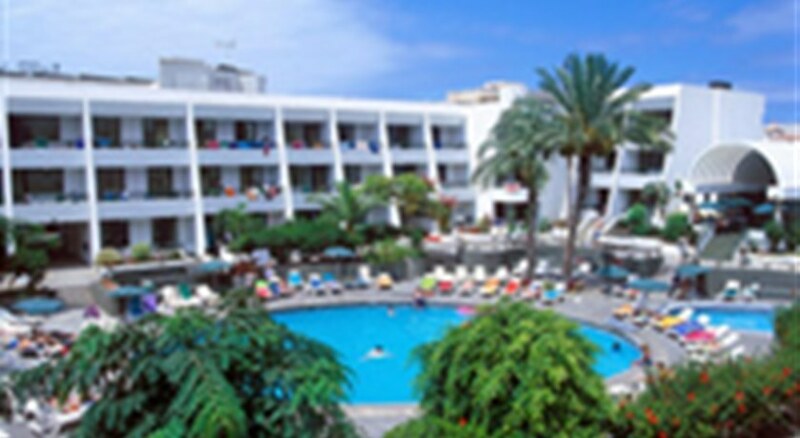 Optimist Tenerife offers car and bicycle rental and is 5 minutes’ walk from the Las Americas Golf Resort. An airport shuttle is available for an extra charge and Tenerife South Airport is 20 minutes’ drive away. Singles, couples and groups of holidaymakers will appreciate this lively, simple style holiday base which is conveniently close to the beach and resort centre attractions. 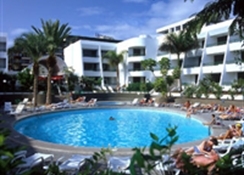 Apartments central located of Playa de las Americas, is only 650 metres away from the beach and from the resort centre. Nearby the hotel you will find the commercial area with all kind of shops, cafeterias and restaurants.